(Tuesday, June 12, 2018 – New York, NY) – Last night, June 11, 2018, 45 chefs came together for The 33rd Annual Chefs’ Tribute to Citymeals on Wheels, The Grand Affair: Celebrating Chefs of the World’s Great Hotels. 100% of ticket sales and donations will support the preparation and delivery of meals for homebound elderly New Yorkers by Citymeals – the city’s only nonprofit providing home-delivered meals to the frail aged in all five boroughs. This year’s event raised nearly $900,000 to deliver over 122,000 meals. From Las Vegas to Lisbon, Cape Town to Machu Picchu, renowned chefs from hotels across the globe gathered to celebrate and share their best dishes at tasting stations throughout Rockefeller Center. Since its founding in 1981, Citymeals on Wheels has delivered over 56 million meals. Each year, the organization prepares and delivers over 2 million weekend, holiday and emergency meals for more than 18,000 of New York City’s homebound elderly. For these vulnerable older New Yorkers, their meal deliverer may be the only person they see on a regular basis. The event was attended by 1,000 guests – business leaders, culinary insiders, foodies, and young professionals – who enjoyed a 14-piece band playing tunes from the 1920s and 30s, swing and tap dancers, a strolling banjo player, and other acts throughout the night, provided by Noah Bless Music. Some of the evening’s stellar dishes included: hamachi crudo with finger lime, ginger and calabrian chili from Chef Scott Conant; guinea hen terrine with pickled rhubarb, dijon and pea tendrils from Chef Cassidee Dabney; Sonoma pastured lamb ragout with spring garlic and flint corn polenta from Chef Larry Forgione; crispy sweetbreads with fingerling potatoes, lemon emulsion and soft egg from Chef Juan Gaffuri; compressed watermelon with housemade black lime yogurt, panna cotta and micro herb salad from Chef Andreas Kisler; chilled carrot-ginger soup shot with goat yogurt pearls, mint and extra-virgin olive oil from Citymeals Board Member Chef Charlie Palmer and Chef Alexandre Gregoire; mangalitsa pork sigsig with rice flake noodle from Chef Dale Talde; and quenelle de brochet aux écrevisses, sauce nantua from Citymeals Board Co-President Chef Daniel Boulud and Chef Sylvain Assié. Notable international chefs included: Brent Savage (Bentley Restaurant + Bar in the Radisson Blu Plaza Hotel, Sydney), Carlos Pardo (Qunuq at Sumaq Machu Picchu Hotel, Machu Picchu), Ed Cooney (The Merrion Hotel, Dublin), Hélène Darroze (Hélène Darroze at The Connaught, The Connaught Hotel, London), Juan Gaffuri (Elena Restaurant at Four Seasons Buenos Aires, Buenos Aires), José Júlio Vintém (Tomba Lobos Restaurant, Portalegre, Portugal), Paco Pérez (Enoteca Paco Pérez at the Ritz-Carlton Hotel Arts, Barcelona), Rudi Liebenberg (Lord Nelson Restaurant, Belmond Mount Nelson Hotel, Cape Town), Thomas Seifried (Blue by Eric Ripert at The Ritz-Carlton Grand Cayman, Cayman Islands), Vineet Bhatia (Vineet Bhatia Restaurants, Dubai, Geneva, London & Mumbia), Vito Mollica (il Palagio at the Four Seasons Hotel Firenze, Florence), and Vitor Sobral (Tasca da Esquina Restaurant, Lisbon). Founding chefs, Jonathan Waxman (Jams Restaurant at the 1 Hotel Central Park, New York) and Larry Forgione (Foley Family Wines, Healdsburg, California) participated, alongside notable chefs from across the country including: Alfred Portale (Gotham Bar & Grill, New York), Andreas Kisler (Chez Philippe at the Peabody Hotel, Memphis), Andy Bennett and Michael Gabriel (The Sea Grill, New York), Anthony Goncalves (Kanopi Restaurant at The Ritz-Carlton New York, Westchester, White Plains, New York), Antonio Prontelli and David Buico (Rock Center Café, New York), Cassidee Dabney (The Barn at Blackberry Farm, Townsend, Tennessee), Charlie Palmer and Alexandre Gregoire (Aureole at Mandalay Bay, Las Vegas), Christophe Bellanca (L'Atelier de Joël Robuchon New York, New York), Dale Talde (Rice & Gold at Hotel 50 Bowery, New York), Daniel Boulud and Sylvain Assié (Café Boulud at Four Seasons Hotel, Toronto), David Burke (Tavern62, New York), Gregorio Stephenson (Nobu Ryokan Malibu and Nobu Hotel Palo Alto, Malibu & Palo Alto), Jacques Torres Chocolate (New York), Jarett Appell and Silvana Vivoli (Stella 34 & Vivoli Gelato, New York and Florence), Joachim Splichal (Patina, Los Angeles), Josh Berry (Union at the Press Hotel, Portland, Maine), Ken Oringer and Tony Messina (UNI at The Eliot Hotel, Boston), Lena Ciardullo (Marta at The Redbury Hotel, New York), Marc Forgione (American Cut and MARC FORGIONE, New York), Mathew Woolf (Rainbow Room & Bar SixtyFive, New York), Michael White (Ai Fiori at The Langham Hotel, New York), Michelle Weaver (Charleston Grill at Belmond Charleston Place Hotel, Charleston), Raymond Weber (CUT by Wolfgang Puck at Four Seasons Hotel New York Downtown, New York), Richard Diamonte (The Grand Tier Restaurant, New York), Richard Capizzi and Shea Gallante (Lincoln Ristorante, New York), Rich Torrisi and Dai Matsuda (Dirty French at The Ludlow, New York), and Scott Conant (Cellaio, Resorts World Catskills, Monticello, New York). With the help of Beverage Chairs Audrey Saunders (Owner, Pegu Club) and Daniel Johnnes (Wine Director, The Dinex Group), fine wines and artisanal cocktails were poured by leading sommeliers and mixologists to accompany the lavish tasting. The evening’s Grand Host was Nick Valenti, CEO of Patina Restaurant Group, and the event was co-chaired by Alison Lohrfink Blood, Ninah and Michael Lynne, Laura and John Pomerantz, and Randi and Dennis Riese. Event guests included Citymeals Co-Founder Gael Greene, Board Co-President Robert S. Grimes, as well as Katherine Boulud, Cesare Casella, Donna Corrado, Shelly Fireman, Robert K. Futterman, Mathew Glazier, Colleen Goggins, Yusi and Joe Gurrera, Suri Kasirer and Bruce Teitelbaum, Susan Ungaro, Margo M. and James L. Nederlander, Lisa Rosenblum, Nancy and Bruce Rosenblatt, and Danielle and Randy Smith,. Beverage sponsors included Belvedere, Courvoisier, Foley Family Wines, Plantation Rum, Plymouth Gin, and Seedlip. Citymeals’ Official Airline is American Airlines and Official Water is FIJI Water. Event sponsors included Anheuser Busch, Bedell Cellars, City National Bank, Karthӓuserhof, and The Riese Organization. 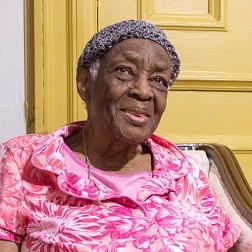 Citymeals on Wheels (citymeals.org) provides a continuous lifeline of nourishing meals and vital companionship to New York City’s homebound elderly. Working in partnership with community-based organizations and senior centers, Citymeals prepares and delivers over 2 million weekend, holiday and emergency meals for more than 18,000 of our frail aged neighbors each year. Last year, over 21,000 individuals volunteered nearly 68,000 hours of their time. Since its founding in 1981, Citymeals has relied on the generosity of its Board of Directors, the City of New York, sponsors and other designated gifts to cover administrative costs. 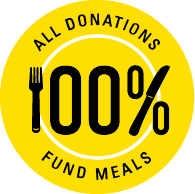 This ensures that 100% of all public donations will be used entirely for the preparation and delivery of meals.